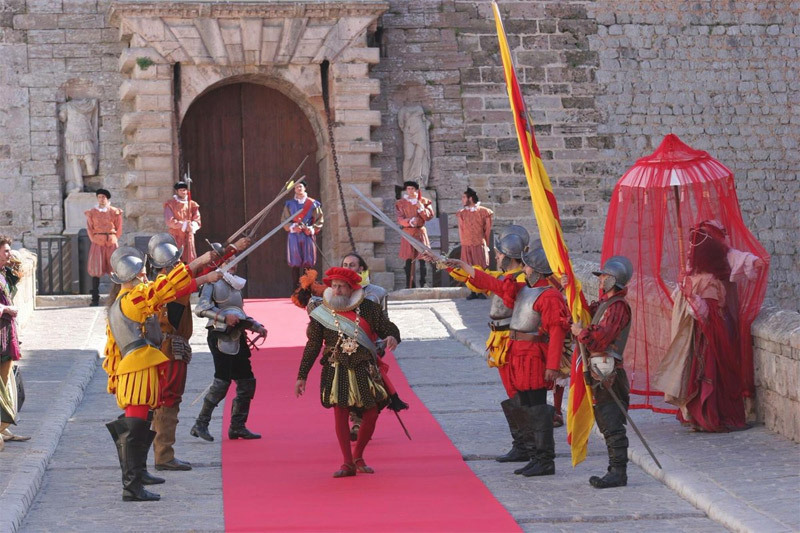 Today 11th May, its beginning one of the most popular festivals in the island: Eivissa Medieval. This event wants to promote and commemorate the declaration of Eivissa as a UNESCO World Heritage Site since 1999. Year after year, for eighteen years, la Marina and Dalt Vilas streets are plenty filled of colours, smells and activities of this particular medieval market. Around our Renaissance walls thousand people, locals and tourists, meets to enjoy this festival that takes place in a patrimonial landscape unique in over the world. Local gastronomy, music and shows are some of the most outstanding proposals every year. On this link you can find the program of activities and map of the areas facilitated by the City Hall of Eivissa, so you do not lose any detail.